Summer has sun and holidays and hot days and cool drinks and time to leave work and get out and/or away and play for a bit. But it doesn't have Burlicious. choreographing treats to come. 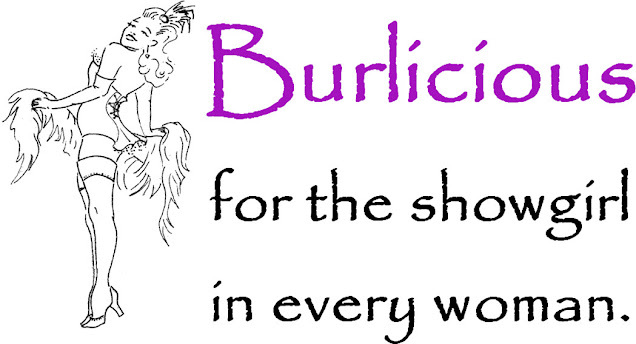 Showgirls, we return to Burlicious deliciousness on Weds 5th September. In the meantime we are, of course, hotly rehearsing (and we do mean "hotly" - sheesh) for our small part in the extravaganza on 11th August. We'll keep you updated as things develop. And, if you need your regular fix, you can always pop along and watch us on the Pier on 11th August. (Pssst -these fabulous legs will be there!) The whole evening promises to be an absolute hoot.